Lebanon NH – On Sunday, January 27, 2019 at approximately 7:55PM the Lebanon Police Department received a report of a 31-year-old male who was despondent inside his residence at 168 Bank Street Extension. Police also learned that the male had access to a firearm inside the home. Several household members were able to leave the residence as police responded to the incident. 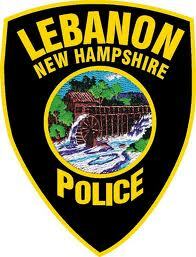 Lebanon Police Officers and Lebanon Tactical and Containment Team members were assisted at the scene by officers from Hanover, Canaan, Enfield, New Hampshire State Police and Hartford, Vermont. Officers were unable to immediately communicate with the individual inside the residence and out of an abundance of caution, several homes were evacuated. For those homes not immediately evacuated, a “shelter in place” order was issued, via the Code Red Emergency Alert System, to homes within a half-mile radius. At approximately 9:10PM the male subject exited the residence and was taken into protective custody without incident. The male subject was transported to DHMC for evaluation. There were no injuries and no charges are expected to be filed.